Service Charges – Tenants Beware! Colman Coyle were recently instructed to defend an application brought by two tenants for a determination of their liability to pay and reasonableness of certain service charge items in the Property Chamber, First-Tier Tribunal. The application was brought against a background of a series of earlier applications made by the same tenants in previous years involving the same service charge items and in circumstances where the service charge items have been paid by all the other tenants. Colman Coyle successfully obtained a determination in favour of its client in respect of which the tenants were required to pay all of the contested service charge items and as a result of this, the Tribunal actively invited an application to be made for costs pursuant to Rule 13 of the First-Tier Tribunal Rules. Colman Coyle are pleased to report that they subsequently obtained a Costs Order against the tenants to pay a significant proportion of their client’s fees. Whether tenant or landlord a party should think carefully before going to litigation and should seek professional advice. Where a party acts unreasonably in bringing or during the course of proceedings this is not without risk and they may subsequently find themselves facing a significant costs order. 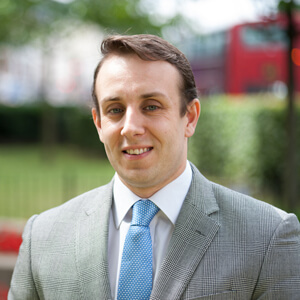 If you are a landlord or a managing agent and you are experiencing difficulties recovering service charges from your tenants or, alternatively, if you are a tenant and you want to challenge your service charge items, you should contact Mr Adam Palmer on 020 7354 3000 or adam.palmer@colmancoyle.com.